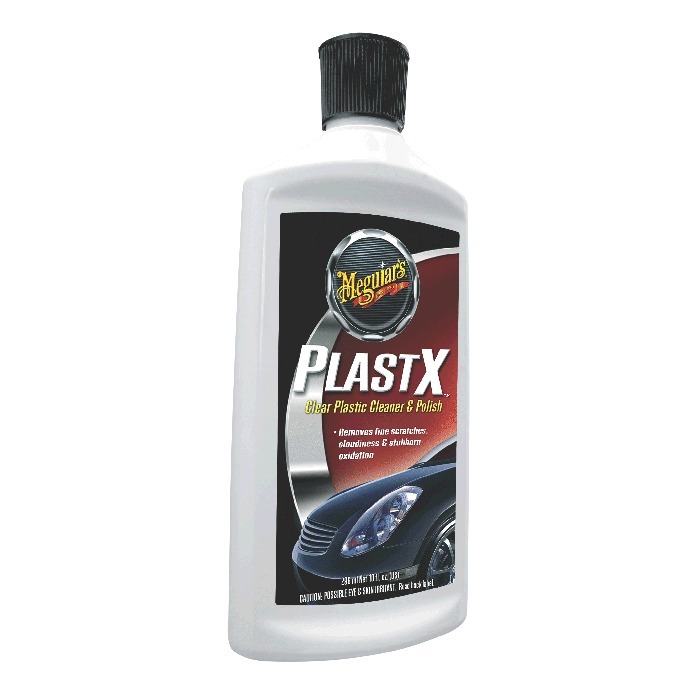 Restore plastic transparency with PlastX. Formulate with advanced micro-abrasive technology, this product removes surface stains to clean transparent plastics. Its conditioning oils restore optical transparence while its highly water-resistant polymers provide long-lasting protection. You may use it on plastic headlights, plastic boat windows, convertible windows, rigid plastic surfaces and superficially scratched CDs.